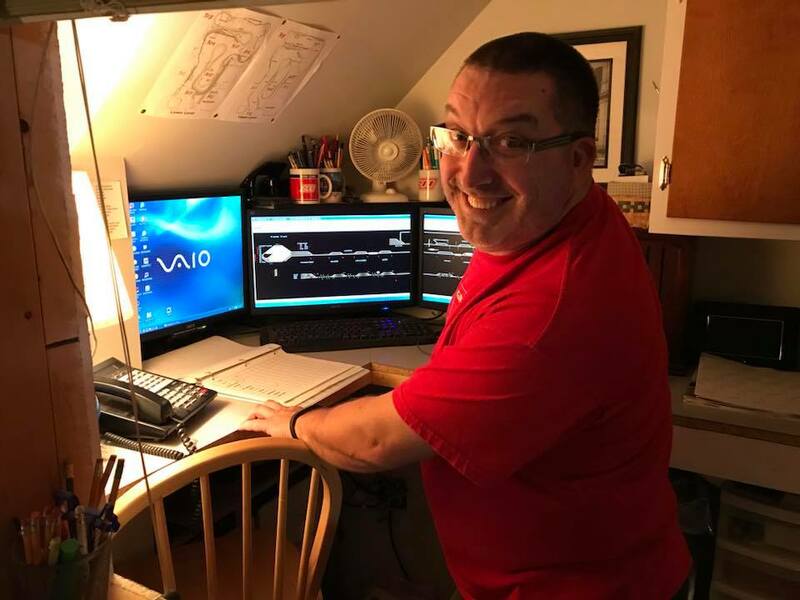 ​Listener Photos: Almost since the show began we've asked the listeners to send in photos of where they listen to the show and it's been unbelievably rewarding to see the response. So here are just a few !! Luke Lemmens gets ready to board the Pennsylvania Railroad hertiage unit. 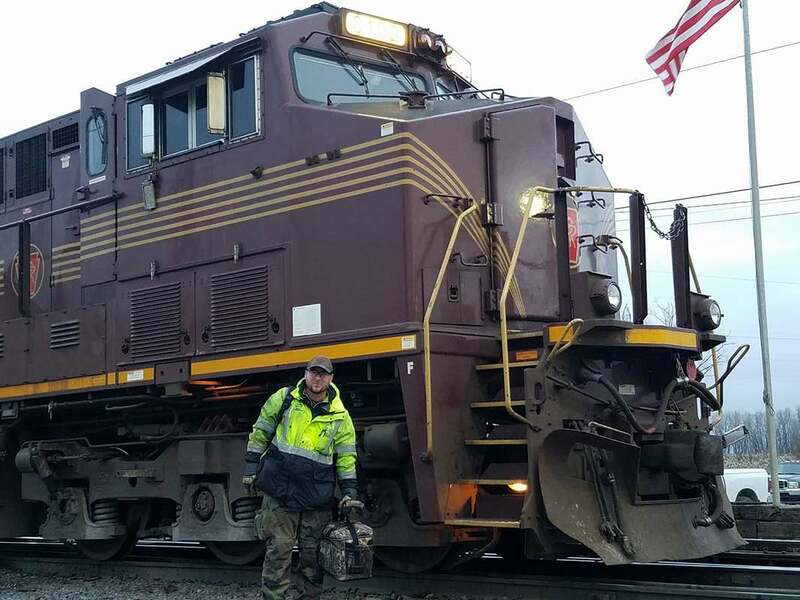 Luke works as conductor for the CN out of Green Bay, Wisconsin. 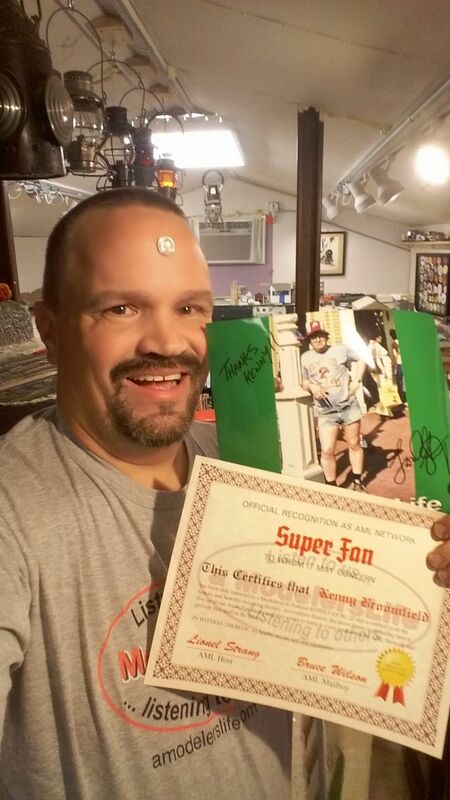 Mike "Spoon" Ostertag working hard on his SuperFan Certificate. 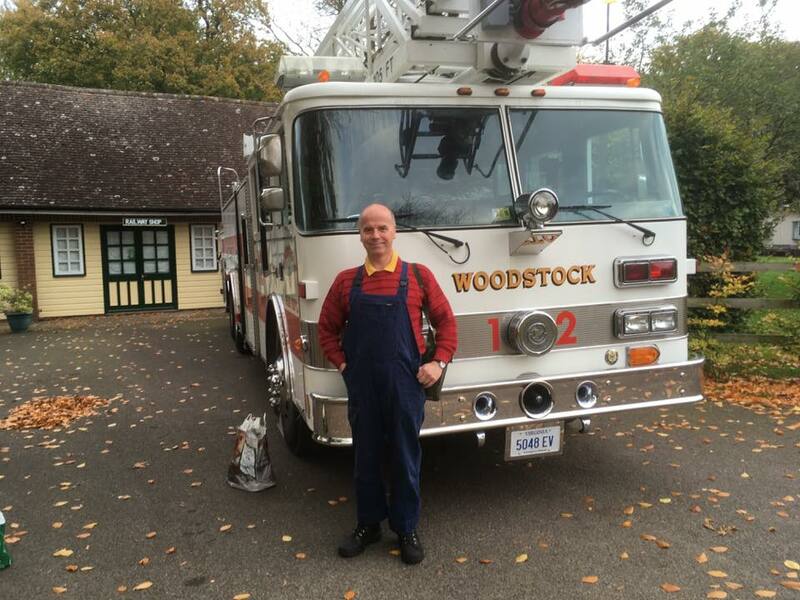 Mike is a locomotive engineer with the CNR. 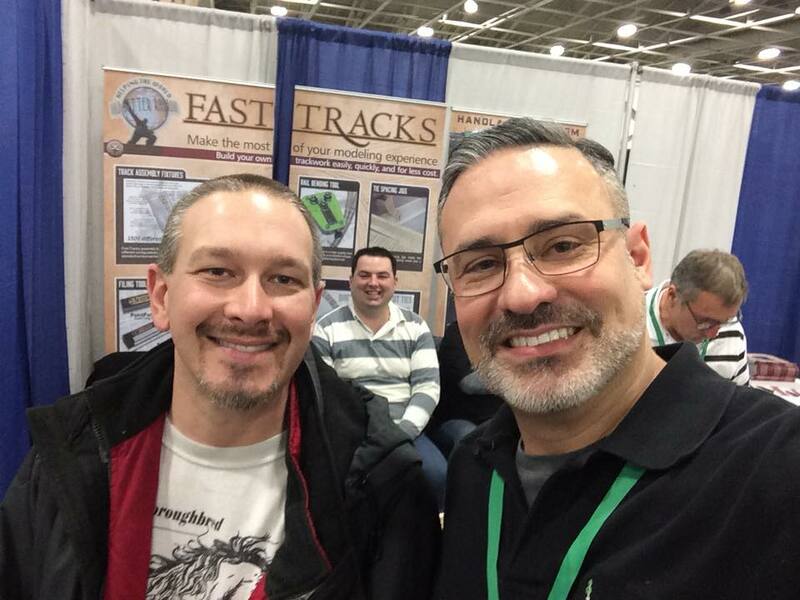 Shawn Becher and AML regular Kevin Marks at Trainfest in Milwaukee, Wisconsin. 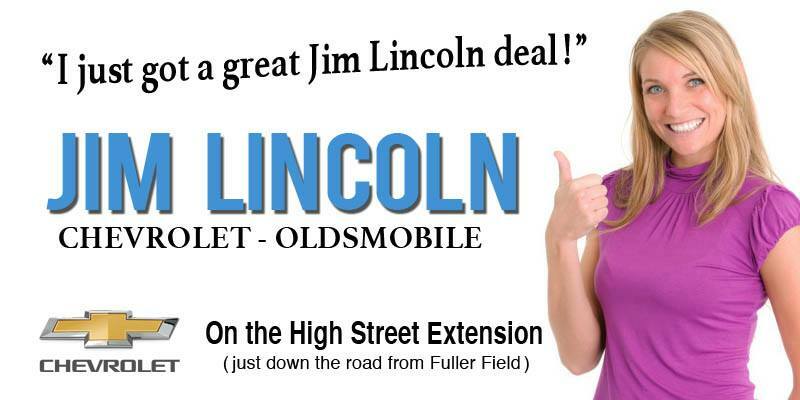 Simon Hill with a little bit of the USA that arrived in deepest Kent. (Britain) Sorry no dime for size. The link to railways is you can just see some steam from a loco, the photo was taken with the ladders fully extended, and before you ask it's not my photo as you won't me up that high. 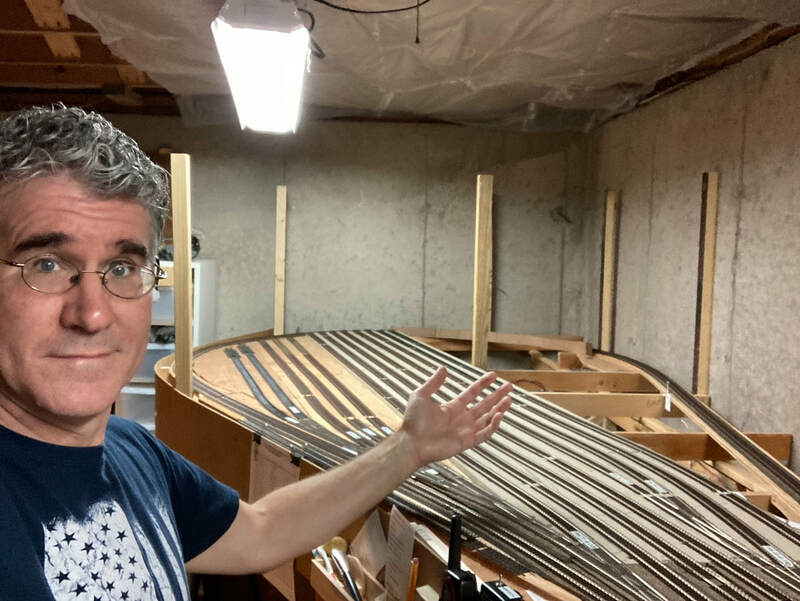 Kevin "Mr. Fixtures" Marks stops by for a visit with Secret Agent "0013" Tom Jacobs to check out the progress on his Crossline Reading Railroad. For those of you unaware, "Reading" is pronounced Reading. 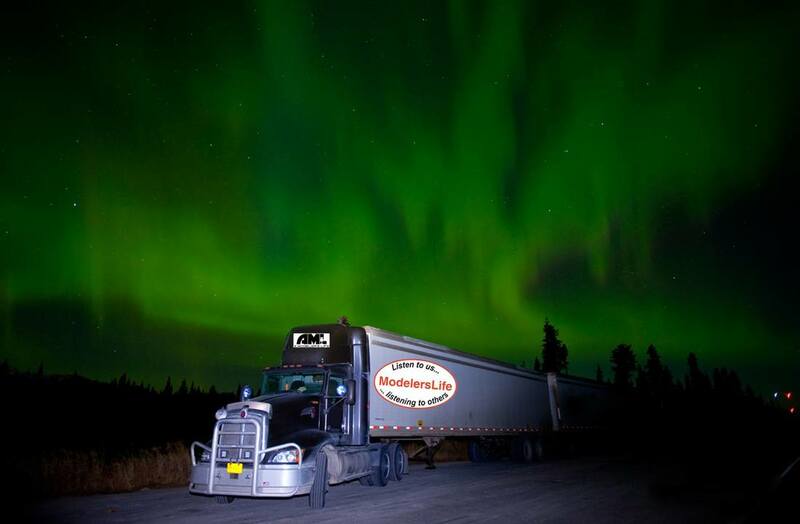 Former F1 Ace Stewart Sterling took the time to highlight ModelersLife while under the northern lights about 200 miles north of Anchorage, Alaska. Kenny Broomfield at home in the trainroom sporting the "Broomfield." 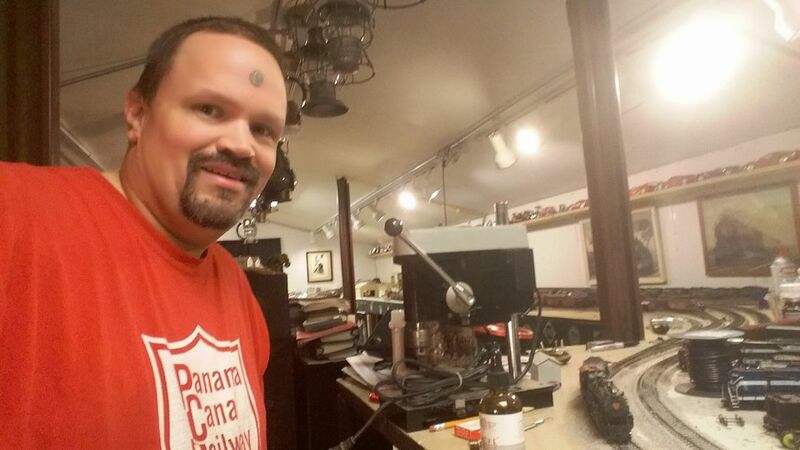 When asked how he came up with the idea of sticking a dime to his forehead for scale he answered. 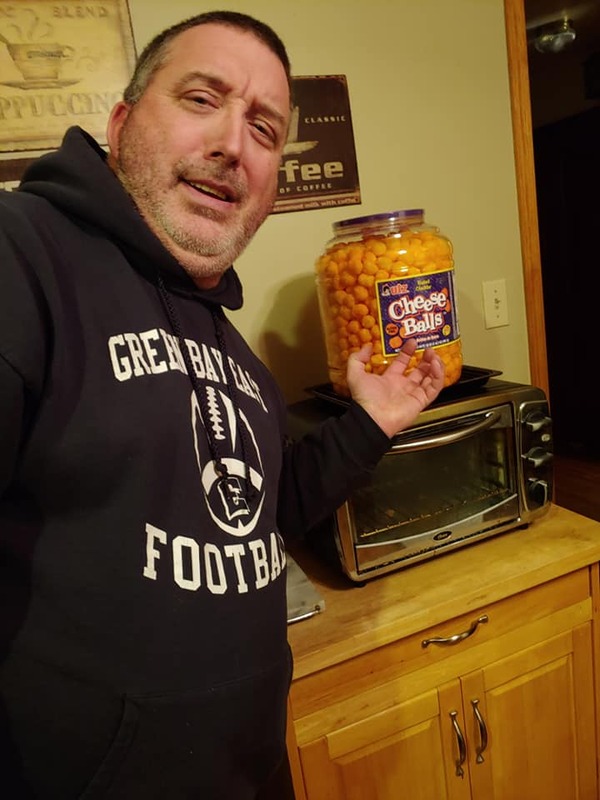 "I just felt it had to done!!" Debby and Chris Adams on their way to or from work. They've been supporters of the show but I'm not sure Debby would be listening if it wasn't for Chris. Note the dime for scale !! 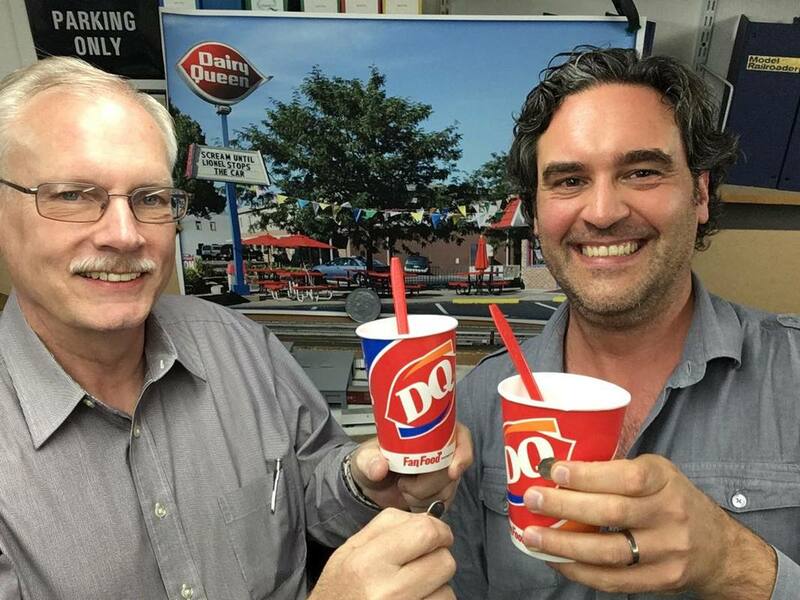 ​Bob Ruszcyk and Peter Borcherds in southern England in front of their favorite Dairy Queen. Following the fast pace of the show made him hungry, so he stopped into the first convenience store he saw. For a few moments, ponder about what kind of snack to get when divine inspiration intervened and it hit him like a bolt of lightning! 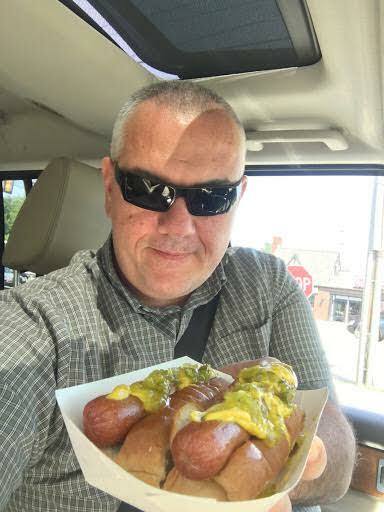 They weren't Costco dogs, but he still a good deal! 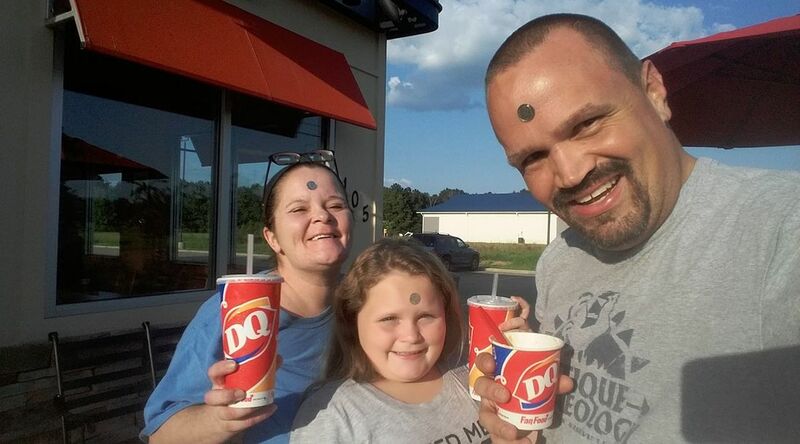 ​After Kenny Broomfield spent the morning listening to the Virtual Hobby Shop Number 6, he headed out to Dairy Queen with the family for dinner. What a wonderful day. Dimes for scale. Probably the oldest Dairy Queen I've ever seen. This 1947 model says it's the oldest one in Minnesota. As an added bonus, it's very close to the historic NP Como shops. Dime is in my phone hand. 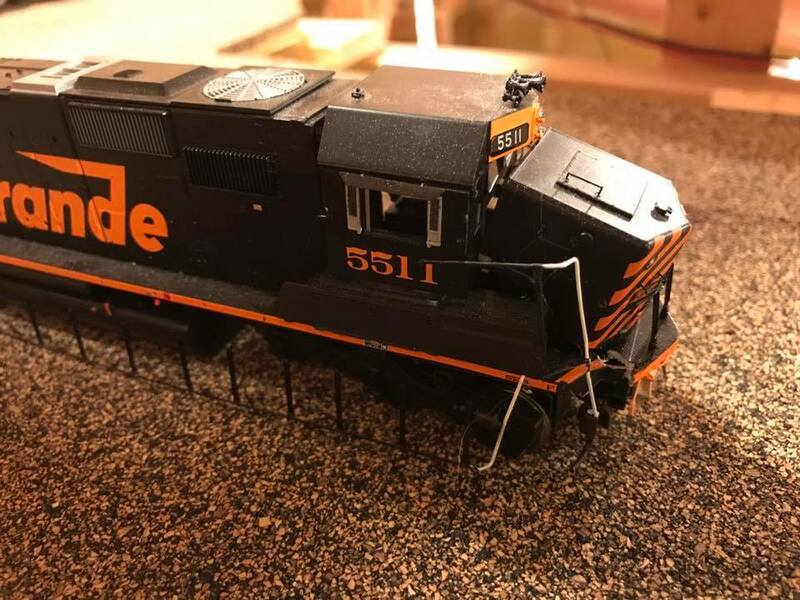 Will be featured in Great Model Railroads 2018 edition. ​Here is a picture of the Wichowski flying SD50. From Patreon Virtual Hobby Shop #6. ​Note the dime for scale. A great "midweek Benchwork Blast" yesterday - got 50' of benchwork built from Lebanon to Hershey! ​This photo shows a view of what the finished layout will look like in terms of the multiple decks. Reading Yard will be installed under the level visible at left. ​Costco hotdogs might be the best value going, but it's hard to resist a Polish Sausage from in front of Home Depot cooked by a man that I must assume by his accent is a recent "Polish" immigrant. Finally finished my first house with added details and weathering. ​Luke Lemmens SOO Line 2nd Sub. ​Bill Brillinger and his dime for scale.